Dream Day Honeymoon Hidden Images Series. Made in the USA. 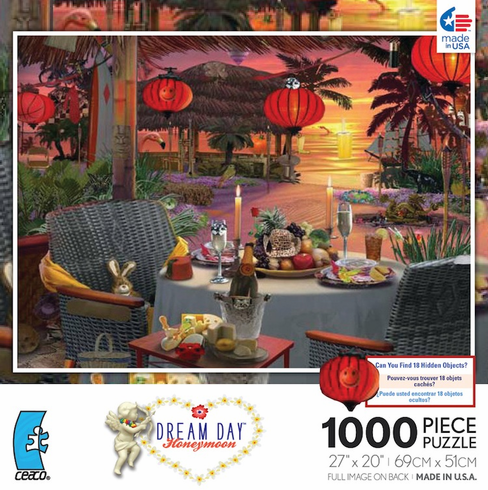 1000 pieces. Finished Size: 27" x 20".